Buying the Splatoon 2 bundle will no longer be required. Last September, Nintendo released a Walmart-exclusive Splatoon 2 Switch bundle which included a pair of specially colored neon green and neon pink Joy-Con controllers. Back then, the only way to get the pink and green Joy-Cons was to buy the Splatoon 2 bundle. Fortunately, Switch owners will soon be able to purchase the neon Joy-Cons as a standalone set when they hit North American shelves "later this month" (i.e. January) according to the official Nintendo of America Twitter account. Interestingly enough, the neon-colored Joy-Cons have actually been available as a standalone purchase in both Japan and Europe for quite a while now, and it’s not exactly clear why it took so long for Nintendo to port them over to North American markets. However, they do say it’s best not to look a gift horse in the mouth, so Switch fans should definitely still chalk this up as a win. Reports currently suggest that the coloring of the individual Joy-Cons in the standalone set has actually been flipped compared to what they are in the Splatoon 2 bundle. 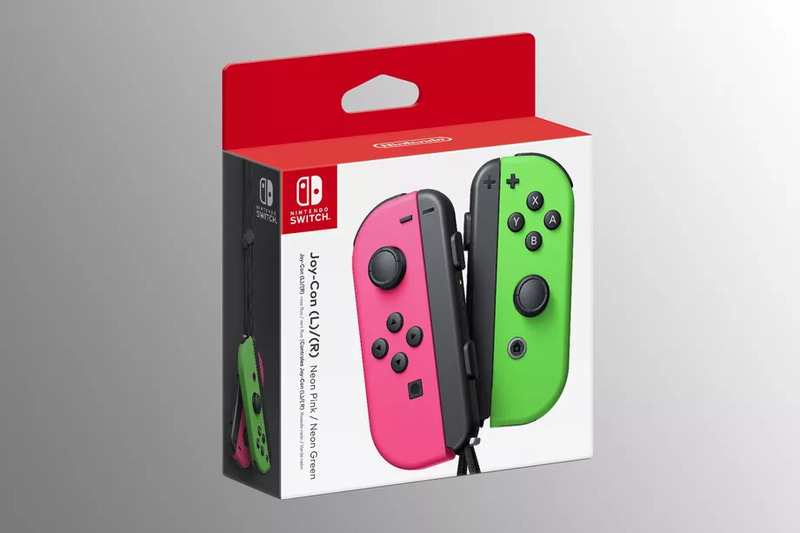 This means that there's technically some incentive for those who already own the bundle to also purchase the standalone set, as it would mean they could play with a matching pair of Joy-Cons that were both pink and/or both green. Pricing for the standalone neon-colored Joy-Cons has yet to be announced, but it seems safe to assume they’ll cost the same as a standard pair of Joy-Cons ($79.99). Nintendo also hasn’t clarified whether the neon-colored Joy-Cons will only be available as a pair, so be sure to stay tuned for more information later this month!